Apple has pushed back the expiration date of its iPhone 5 battery replacement program, which was originally scheduled to end on March 1, to provide owners of faulty equipment a full three years of component coverage. While Apple did not formally announce the change, language on the program's dedicated webpage was modified to reflect a new coverage period extending to three years after a device's first retail sale. The updated page was first spotted by iPhone in Canada. 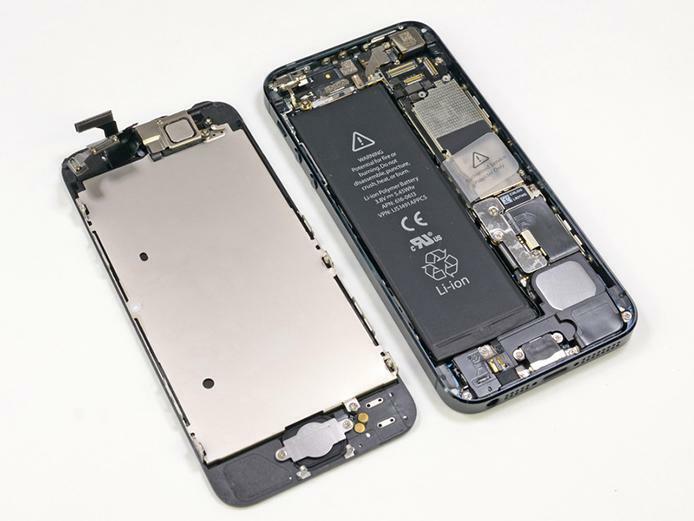 Prior to the change, iPhone 5 owners could swap out faulty batteries for "two years after the first retail sale or until March 1, 2015," whichever provided longer coverage. Apple's battery replacement program was initiated in August 2014 after the company found a "very small percentage" of units sold within a five-month period between September 2012 through January 2013 exhibited problems. Applying the new three-year coverage to those dates, Apple's replacement program is expected to run through January 2016. When Apple first announced the initiative, it said owners of affected iPhone 5 models might see unexpectedly short battery life. It is assumed that a batch of malfunctioning batteries slipped past quality control and shipped out to consumers. Current iPhone 5 owners who purchased their device within the specified time period and are experiencing battery issues can check if their hardware is eligible for replacement through Apple's website. I guess that "very small percentage" is taking their sweet time getting their batteries replaced. Silly people, it is well worth the hassle. I have my wife's cast of 5 and before the exchange it lasted two hours on a charge. I dug out my 4s and had it switched back on by Verizon while my 5 was a way and switched back when Apple returned it. Pretty seamless really and the 5 now lasts all day. On a side note; I have to say I really loved the size and weight of the 4s though ... I am the odd one out I guess but I kind of preferred it. It just feels so 'solid'. Too bad the company doesn't have a 3-year warranty on all hardware considering the price that is paid. And risk the offer ending. Other than the 5 all my iPhones going back to the very first model all hold a charge to this day (I test them once in a while). So not sure it's a very valid reason anyway. Too bad it doesn't include the 5S. I upgraded to iOS 8.1.3 and my battery life went to heck. I started out with 100% battery in the morning and by noon I was down to 10%. I wiped the phone and didn't load apps and had the same result. Took to it the Genius Bar. They said the phone was functioning fine according to their diagnostics. Since it was out of warranty by one month I was told I could (a) replace the phone for $189 or (b) replace the battery for $90. He told me that there were no service bulletins about the problem. I talked to the manager and he gave me trade in credit to get an iPhone 6 plus and waived the AT&T fees for early upgrade. Also gave me 2 year Apple Care without charge. I left the Apple Store a satisfied customer. Apple not only took care of me but I got an iPhone 6 Plus that I was hoping to get when my contract was up. It's an awesome phone. I have Parkinson's and the larger screen is easy to us with my hand tremors. Since it was out of warranty by one month I was told I could (a) replace the phone for $189 or (b) replace the battery for $90. He told me that there were no service bulletins about the problem. And it's interesting that a manager would be so willing to crap on his sales bonus by giving you a trade in (which was likely what $150), plus pay another $150-200 on that early upgrade and then $99 for free Apple Care when they have the authority to simply wave the replacement costs for customer service. Apple's battery replacement program was initiated in August 2014 after the company found a "very small percentage" of units sold within a five-month period between September 2012 through January 2013 exhibited problems. They didn't change the valid dates so its not really that big of a deal. Most folks that had phones from that early on have likely traded them in during an upgrade anyway. This is just a pretty PR stunt with no real bite. I replaced my battery as soon as I learned of the opportunity. My original battery was definitely faulty. My new battery last a long time now! I'm very happy!! Friends, I have the same issue with my Iphone 5 which I purchased in Dec 2012. After three years of use , last week I found that scren is poping out from laft hand side and I can see the light coming out below the sreen, I thought battery got buldge as it becomes hot while chanrging. Scared me I thought it might charge mi Apprx. 6000 INR for repalcament of battery as my phone was not under warrenty. Then I read some reviews on internet and I found that apple recall some faulty batteries for the phone manufactured between Nov2012 to Jan 2013. Then I wend to apple offical site and saw the apple battery recall progrm where I need to enter my Mobile serial number to chek where it is eligible for battery replacement and it shows my phone is not eligible. Still I went to Apple store and I showed them my mobile for the problem and Guess what..Apple gave me Brand New Iphone... Only I got it after 5 days.. Thanks to all those reviews and video who help me to review blogs on apple forum. my wife 5 has not the battery issue of being empty fast. but her screen is slowly getting lifted up. in the repair shop they said last month more and more iphone 5 models are coming in and replacing the growing battery fixes that issue. I assume apple should also recall these faulty models! a growing battery is not normal. if it is how you explain my 1 year older iphone4S not having this issue! I hope more people have this growing issue! we bought the 5 around november 2012.